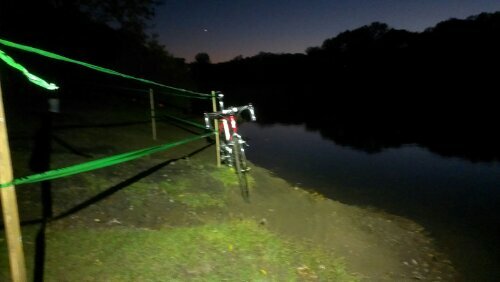 Did a quick preride tonight. Yeah, that’s the line you want….followed by the nasty stair runup. That is followed by the new singletrack. Very tough course. Should be fun. This entry was posted on October 12, 2013 by bkozicki. It was filed under Uncategorized and was tagged with CX, Cyclocross, Theo Wirth.